Your home will likely be the greatest financial investment you'll ever make. With the help of a trained, experienced real estate agent, it can also be your wisest. Give yourself every opportunity to come out on top by working with a real estate professional from Champagne & Parisi Real Estate. 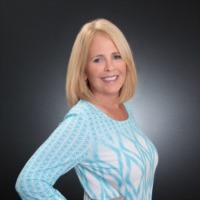 With years of experience helping local buyers and sellers just like yourself, I know how to locate the finest properties and negotiate the best deals. It's my job to know about the latest market conditions, government regulations, and upcoming developments — so you don't have to.